It looks like American Airlines will soon be cramming even more seats into their already over-crowded planes. If this is the future, then where's my legroom? 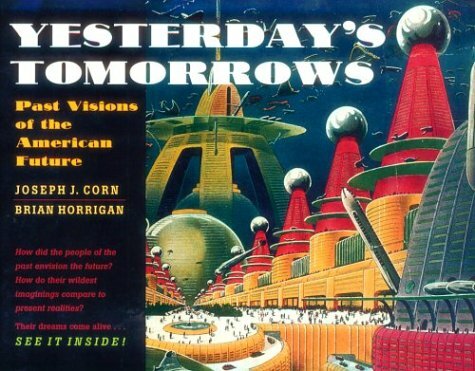 Last week we looked at promises for futuristic homes during World War II and the attempt to dial back expectations for these "miracle houses" by the end of the war. But it wasn't just fantastic houses that were being promised to Americans during WWII. Once peace was secured, your average WWII veteran would be taking to the skies. This time on comfy cushioned seats — the "softest seats known to the anatomy of man." This print ad from the June 16, 1945 Saturday Evening Post juxtaposed soldiers of WWII sitting in an airplane with those same men sitting in the passenger planes of tomorrow. But do they really look that futuristic to people with a 21st century bias? It's interesting just how un-glamorous this plane of the future looks to modern eyes. Sure, they're getting a meal, and everybody's dressed to the nines. But the interior of their commercial plane is gray and drab on its ceiling, while the seats are boxy and the armrests don't look terribly plush. That all being said, I'd welcome this 1940s futuristic flying experience over my last one here in the 21st century. The guy in front of me reclined his seat for the entire six-hour flight — which for a guy like me whose knees already touch the back of the seat in front of him, feels like a less-than-futuristic experience. Dreaming of the plane you'll travel in tomorrow, soldier? Cruising up to five miles a minute, sound-proofed, air-conditioned, smartly decorated, with the softest seats known to the anatomy of man... and a good-looking stewardess to serve you piping hot meals when you're hungry! The Airlines will be ready with the planes and the service and the speed you'll need when it's all over and you're back on the job, hustling yourself a career out of the opportunities which await you. May that day come soon! Already the nation's Airlines are winning the wartime struggle to provide enough passenger capacity for all who must get there the fastest way. And nearer comes the day when, with larger planes and expanded schedules, they will fulfill the demand of millions for the speed, economy and comfort of travel by air and for the swift handling of cargo and mail. As any serviceman can tell you, air transport is a mighty important thing to America. Never, in time of war, has a nation been so favored with a weapon ready-forged to meet its enemies. Never, in time of peace, could a nation find so ready at hand so powerful and efficient a tool of reconstruction.